One of the great benefits of being a Platinum Premier on United is Star Alliance Gold status. That means I get some nice perks like priority boarding, extra baggage allowance, etc. when traveling on Star Alliance partners. It also means lounge access when traveling internationally (including Canada! ), which is probably my favorite perk. What is does not provide, unfortunately, is lounge access when traveling domestically. Yes, as a United elite flyer, I can get access to lounges from all the non-US-based alliance partners (Air Canada, Lufthansa, Thai, etc. ), but not the United Club - unless I'm traveling internationally. Even stranger is the fact that elites on non-US-based alliance partners do get access to the United Club, even when on domestic tickets in the US. Club memberships run a few hundred dollars, and I'm a little too frugal to fork that over. My next best option? Figure out how to get elite status on a non-US-based alliance partner. Easier said than done though - I wasn't about to start crediting my Star Alliance flights to anyone other than United, and alliance members generally don't do status matches for partners (that wouldn't be very alliance-like, after all). 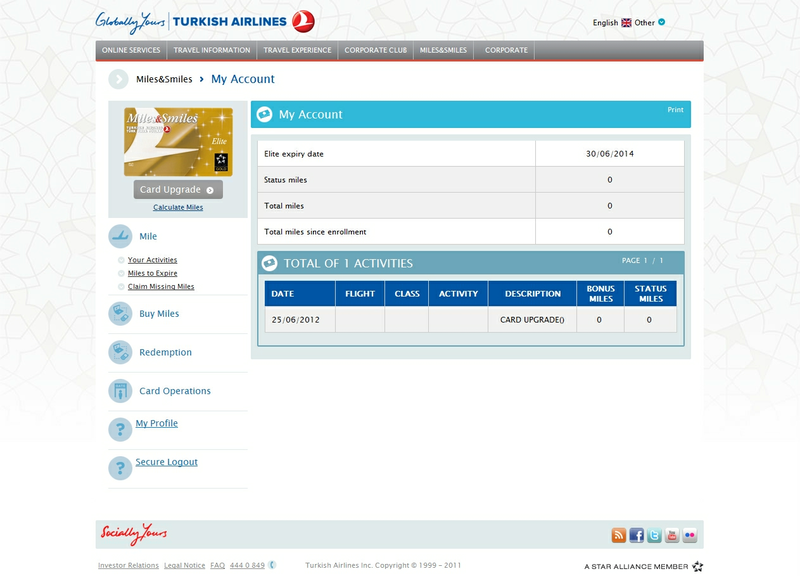 Last month, View from the Wing posted about Turkish Airline offering a status match to Star Alliance members, and offering instructions for how to go about requesting the match. Nothing ventured, nothing gained - so I sent off my credentials and crossed my fingers. I'm still waiting for my physical card to arrive, but things are looking pretty good. The best part is that elite status on Turkish Airlines is valid for 2 years, so I'll have my free domestic lounge access until summer 2014! Has anyone else had success with this little loophole? I don't know if it's still open, but it's certainly worth giving it a go if you have Gold status or higher on United or USAir. Check out the instructions on View from the Wing to find out how.